I read this book while flying from Newark NJ into San Diego coming home from my vacation. I started it while waiting for the plane and read it until somewhere over the midwest! I was curious and engaged from the beginning, wondering how the story of Juliette would connect to that of Sophie. A Version of the Truth by B.P. Walter kept me interested and I don’t want to give too much away but wow! The author tackles a very serious subject which you will become aware of towards the end if you don’t figure it out sooner. 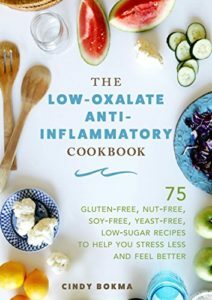 Due out in February 2019! I love the opportunity to sit and read and not to do anything else! No cooking, cleaning, taking care of kids and dogs, no worrying (okay yes I always worry) about my day to day chores. And when we go on a cruise, which is my husbands absolute favorite, I get to read for hours. There’s nothing like a sea day to focus on reading and that’s just what I did with this book in my hands. 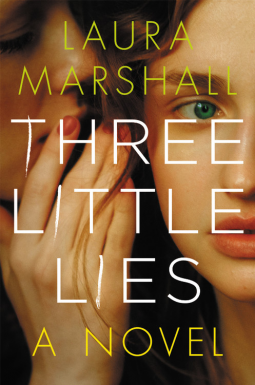 Three Little Lies by Laura Marshall which I wrote about previously but finished reading on this trip. I was glued to the pages and ended up enjoying this book immensely! What really happened that night? Who is telling the whole truth? These are the questions Ellen must confront when searching for her friend. But someone knows Ellen is looking. And they don’t want the answers coming out. The author’s first book, Friend Request, received great reviews and I have added it to my TO READ list! Have you read it? 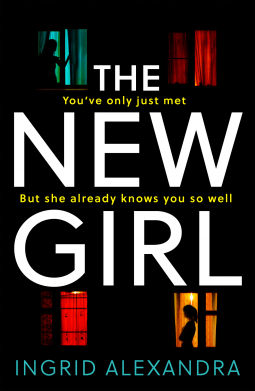 The New Girl by Ingrid Alexandra was another good read that had a thread of mystery running through it. Mary has come out of an abusive and quite frankly, creepy relationship and is hiding from her ex. Bits and pieces of a blood-filled night plague her and she doesn’t remember the details. A new roommate named Rachel moves into Mary’s apartment and there’s something not quite right about this girl. She sleepwalks, is also coming out of an abusive relationship, and I immediately didn’t trust her. What is the real story with Rachel? I wondered what the link was to Mary and how these two might have known each other. Mary begins to receive cryptic notes and she’s convinced her ex is messing with her. The police won’t take her seriously. Is she imagining everything? And when Rachel starts sleepwalking, everyone’s fears grow. But there’s something about the new girl that Mary can’t help but trust, and having recently escaped a toxic relationship, she needs the support. Rachel becomes a friend and an ally, and Mary soon discovers that they have more in common than she ever could have imagined. 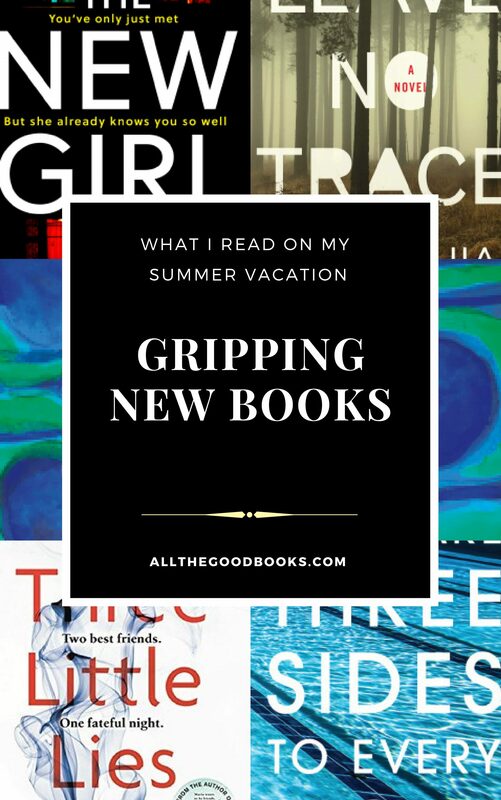 Switching gears from thrillers to a women’s fiction about a group of friends. 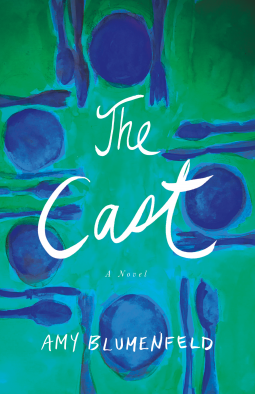 The Cast by Amy Blumenfeld was a quick read about a group of childhood friends who reunite as adults. In their teens, Becca had cancer and they rallied around her as she went through treatment. Now as adults, they are living out what was set in motion as kids. Friendship, illness, life, are just a few of the themes running through this novel. Great book and a different vibe than most of the books I have read lately! And…we are back to thrillers! 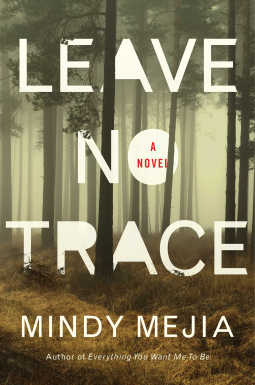 Leave No Trace by Mindy Mejia will have you reading quickly and so many questions swirl around from the first couple of chapters, you want to know what happens and how the pieces fit together. Lucas and his father headed into the wilderness one day and were never heard from for ten years until Lucas was arrested while robbing a store. He’s brought to the place where Maya works as a speech therapist and she is assigned to work with Lucas, who has been refusing to speak. The two have an unsettling encounter where Lucas attacks Maya but somehow, the two quickly form a bond and its only Maya that Lucas will communicate with. So many questions right away, why did Lucas and his father head into the wilderness without a trace? Where is the father now? And Maya’s mother abandoned her, why? I wondered about Maya’s connection to Lucas and his father. The book delves into all of those questions and more as the author builds the suspense. 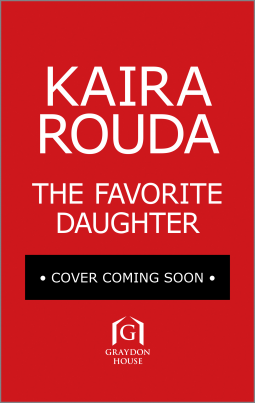 The Favorite Daughter by Kaira Rouda isn’t out until May 2019 but I got a sneak peek and want to tell you to put this on your radar for next spring. I loved the author’s book Best Day Ever and had high hopes for this new one which did not disappoint! 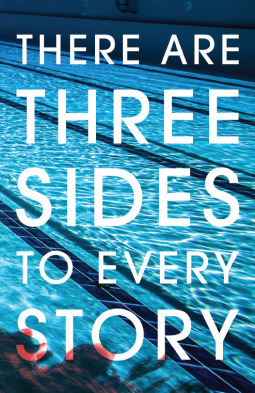 I will post about it when it officially is out, but I want to share what it’s about- warning, this is a twisty, addictive read that you might consume in one sitting! 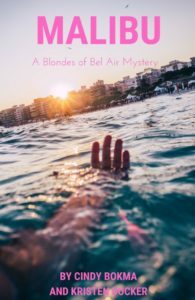 I’m keeping my lips zipped regarding more info but if you love a psychological thriller, you will want to read this! 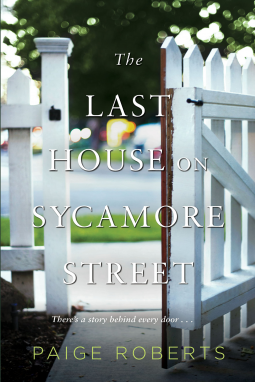 The Last House on Sycamore Street by Paige Roberts is not a thriller as I initially thought, but women’s fiction. Once you have your expectations adjusted, you can enjoy the book! I was waiting for something scary and thrilling to happen but it doesn’t, though this was a good book and I wanted to see how it ended. Amy and her husband Rob along with their young son Noah who is very smart and introverted, buy the last house on Sycamore Street in the Philadelphia suburbs. 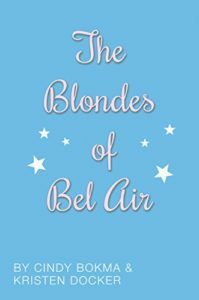 Amy strikes up a friendship with the previous owners of her new house, stylish Grace and Julian, and their son Ethan becomes friends with Noah. There are some things about Grace and Julian that Amy doesn’t understand, things that seem weird about them like why does Julian’s mail keep getting delivered to the house? Where exactly do Grace and Julian live and why is she so evasive when Amy asks? What are their secrets? family-friendly neighborhood, she and her husband Rob find it. It’s a perfect brick colonial with plenty of space, a beautiful yard, and great schools nearby. The sellers, Julian and Grace Durant, are eager to make a deal. In an unexpected bonus, the Durants’ young son, Ethan, strikes up a friendship with Amy and Rob’s introverted four-year-old, Noah. laid-back veneer projected by the Durants, Amy senses lives reeling out of control. But how much does Grace know, how much is she choosing to ignore–and is there more at stake in Amy speaking up or in staying silent? This type of story probably plays out again and again in the suburbs, things are not what they seem and people are not what you think. 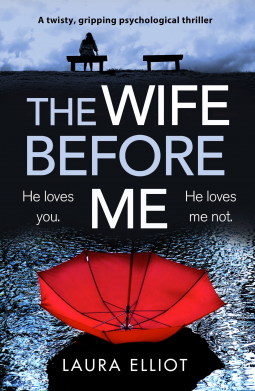 I am just in the beginning pages of this thriller called The Wife Before Me by Laura Elliot. There is nothing like a suspense to get into and this one promises some twists and turns. One evening as the sun is setting, Amelia Madison’s car slides into the sea off Mason’s Pier. Her body is never found. Two years later, Elena Langdon meets Nicholas Madison. She is grieving the loss of her mother, he is grieving for his wife. Together they can help each other. Now Elena is living with Nicholas. But Elena doesn’t really know him. She doesn’t know what he is capable of. And she doesn’t know what really happened to Amelia. Until the day she discovers the torn page of a letter and the words she reads chill her to the bone. Elena must find the person who wrote these letters if she is to save herself. What appeals to me about this book is that the husband is not who we think and he has some skeletons in his closet. The reader can look forward to learning the truth about him, what happened to his first wife, and how Amelia is going to get herself out of what looks like is some deep trouble. And of course, with a thriller, nothing is as is seems. Can’t wait to keep reading!